Is your child having trouble falling asleep? This seems to be a common problem – especially around the ages of 10 – 14 and one that worries parents as we all know that children need to get a proper night’s sleep. The literature available suggests that one of the more successful approaches to the problem is to ensure a bedtime routine. This is especially effective if a child’s sleeping problems can be traced back to habits the child has developed that interfere with good sleep. The first step would be to check to make sure your child’s routines are sleep-friendly. For example, one of the best ways to ensure healthy sleep is setting a consistent wake-up time and sticking to it. The wake-up time doesn’t have to be exactly the same time every day, but it should be within a two-hour window. Although it may seem helpful to let children sleep in on the weekends, it actually disrupts their internal clock. That makes it much tougher to get back into a weekday sleep routine on Monday. Sleep deprivation then gets worse during the week. Also, consider your children’s use of electronic devices before bedtime. Many tweens and teens have televisions and computers in their bedrooms. They keep their cellphones close by at all times. These devices can make it hard to disengage from stimulating activities. For the best sleep, children should turn off all electronic devices at least 30 to 60 minutes before bedtime. This gives the brain time to relax and wind down, making it easier to fall asleep. It is strongly recommend that computers and TVs be kept out of a child’s bedroom. It is best for cellphones to be shut down and stored in another room at night. Children should avoid any food or beverages that contain caffeine or sugar at least two to three hours before bedtime. Daily exercise and other physical activity can aid sleep. But have them finish those activities at least two hours before he goes to bed. Also, even if they are sleepy during the day, encourage them not to nap. Naps do more harm than good when it comes to getting good sleep because they often make falling asleep at night harder than ever. For some children, when they lie down at night worries and concerns creep into their minds, making it hard to relax and fall asleep. To help clear their minds, it may be useful for them to take a few minutes before bedtime to write down anything that’s on their minds or tasks they need to do. Once they are on paper, sometimes children are better able to let their concerns go and get to sleep more easily. 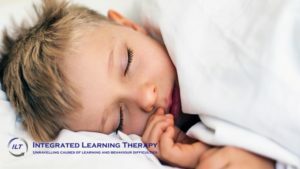 Although it is not a common condition, another source of a child’s problem could be a sleep disorder related to the workings of his internal, or biological, clock. The most common such problem with tweens and teens is called delayed sleep phase syndrome. Children who have this sleep disorder are “night owls.” According to their internal clock, their day is longer than 24 hours. 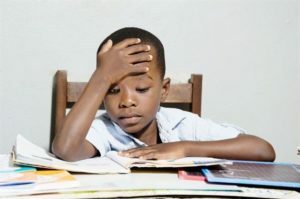 As a result, they tend to fall asleep at progressively later and later times each night and then have difficulty waking up in time to go to school. It is important for your child’s sleep problem to be addressed. Too little sleep can make it hard for a child to concentrate and pay attention at school. It can lead to mood swings and irritability, and can increase a child’s tendency to accidents. Try to first address any habits that may be interfering with your child’s sleep. If changes in bedtime habits don’t help, make an appointment to see a sleep specialist in case he or she has a sleep disorder. The content of this post was sourced from the Mayo Clinic. Understanding how the vestibular works and, more importantly, how it affects our functioning makes it easier to understand why it is implicated in syndromes like dyslexia and ADHD. It also helps to explain why and how certain, specific movements improve vestibular functioning and make positive differences to children struggling at school. The role of the inner-ear or vestibular system underlying cognitive and behavioral disorders and their treatment has been studied by many gifted clinicians and therapists. However, the role of both the inner-ear and cerebellum (the ‘small brain’ at the base of the larger cerebrum) in determining ADHD dates back to the pioneering dyslexia research of Frank and Levinson initially published in 1973, and then evolving over four decades. By recognizing that dyslexia and ADHD are significantly overlapping disorders characterized by imbalance and poor coordination, Levinson proposed that both disorders stem from one common impairment– a signal-scrambling dysfunction of inner-ear/cerebellar origin. His ADHD data and concepts were published in numerous papers and books. Significantly, these concepts are consistent with the cerebellar research of Noble Laureate Sir John Eccles and outstanding others as well as inner-ear clinicians called neurotologists, hence gaining their support. Levinson explained the ‘signal-scrambling’ as follows: “Just imagine the symptoms induced by spinning until dizzy. When dizzy you can’t properly read, write, speak, recall, think, plan, concentrate, orient, balance and coordinate. It’s as if the signals transmitted to varied brain structures are ‘dizzy’ or scrambled and so cannot be normally processed. They thus induce temporary dyslexic or ADHD-like states. It’s the dizzy or scrambled signals that are considered etiologically most important, not necessarily the conscious sensation or experience of dizziness which may lessen, disappear or be absent. “This analogy also explains how and why signal stabilizing medications, including inner-ear enhancing antihistamines and stimulants, are so effective in treating both dyslexia and ADHD. And it further explains the efficacy of anti-vertigo therapies in preventing the inner-ear triggered reading reversals (“space dyslexia”) and impaired concentration, orientation and balance (“space ADHD”) in orbiting astronauts. In last week’s post, I wrote that a baby’s brain is very undeveloped at birth, owing to the relatively small size of a newborn’s head. In fact, the newly born child has all the brain cells (neurons) he will ever need but they aren’t able to communicate with each other very efficiently. One of the most important developmental stages in these early days is for the infant to do what is necessary for these neurons to connect to each other. Eventually, he’ll end up with neural networks that are needed for learning and living. These networks provide us with the ability to learn language, interpret sound and vision, control emotions, think and remember. The quality of the brain cells themselves and the way they connect to each other will determine whether that individual grows up with an average or a really smart brain. Some of this will depend on the child’s genes but a great deal will depend on the environment you provide and in which the child will develop. It’s not true that clever parents will automatically have clever children. Academic success and intelligence are hugely reliant on a growing environment that is characterized by lots of love, little stress, mental stimulation and a good diet. Mental stimulation is not provided by mindless facts. Many children can learn to count, recite the alphabet, give correct answers to learned questions and so on, but these don’t indicate a good brain. Essentially, as Dr David Perlmutter points out in his book (see reference below), the goal of parent’s interactions with their young children should not be whatthe children learn but howthey learn it. Stay away from activities that dull their brains, deaden their senses and put them at risk for later learning difficulties. 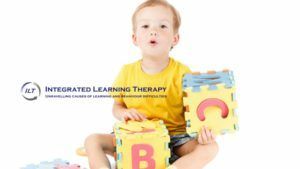 It’s better for a developing brain to learn what letters and numbers represent rather than being able to spell or count. In order for this to happen, they need to learn their shapes and understand that letters and numbers are symbols that carry meaning according to their shapes. It’s also important that the connections being made by the neurons are firmly cemented in place. For this to happen, children need repetition of incoming mental stimulation. Most seek this out automatically by insisting that parents reinforce learning. Most of us know how a child will demand the same story over and over again, or be happy to watch the same film again and again. This is a good example of how children learn and how they strengthen the connections in their neural networks. For a child beginning at around age 12 months: Find a puzzle containing pieces shaped from numbers 1 to 10. Fitting the numbers into their correct places allows the child to experience the ‘feel’ qualities of numbers, which helps to ingrain the picture of the number into their brains. You can enhance her experience by showing her what a particular number represents. For example, when she puts the number 2 into the correct place on the puzzle board, hand her two small balls and say “Two.” Every time she puts back another puzzle piece, add balls to her collection until the puzzle is completed. This paves the way for early recognition of the symbolic nature of numbers. This is far more beneficial than simply teaching the child to memorise counting from one to ten. Acknowledgement is given to Dr David Perlmutter who wrote the informative book Raise a smarter child by kindergarten: Build a better brain and increase IQ up to 30 points.Available from Amazon books. This article appeared in a Science newsletter on April 2nd2019. We thought it might be of interest as so many children these days present as ‘picky’ eaters who are difficult to feed. More recently, however, baby-led weaning has gained popularity – and divided parents. This method sees babies selecting finger foods – such as carrot sticks, broccoli trees or other pieces of whole, baby-fist size pieces of food – and feedingthemselves. While there have been unsubstantiated claims that this method can improve a baby’s dexterity and confidence, research has associated baby-led weaning with their ability to recognise when they are full and being less fussy with their food. This makes it an appealing choice for some parents. Research findings are important when communicating complementary feeding advice to new parents, but headlines and quoted study results can often be misleading. So remember that when reports of research say there is a difference between one method over another, it’s not the whole story. The size of this difference – something that is not often communicated – matters too. The most important thing that parents can do is to try their best and introduce solids in a way that is more appropriate for their family, rather than stressing about a specific method, as research suggests might make a only a very small difference. insertion, size change , etc. * Poor concentration, distractibility, light sensitivity (photophobia), delayed visual and phonetic processing, etc. months of the year, and directions. * Right/left and related directional uncertainty. * Delay in learning to tell time. running, skipping, hopping, tying shoelaces, and buttoning buttons. * Feeling stupid, ugly, incompetent, brainless. sense of direction, and time, etc. What many don’t realise is that many of the symptoms understood to be part of this syndrome are linked to irregular functioning of the vestibular system (better known as the inner-ear). Not all Dyslexics are alike but many can be helped by activities aimed at improving vestibular functioning. This means that particular, coordinated, slow movements can help many children who are struggling at school. There will be more information about this in following posts. The early years of life are vital for laying the foundation of learning success. Most parents get it right – and that’s because it isn’t as difficult as you might think. I get lots of enquiries from people wanting to know what programmes to buy or what activities to do with their infants to ensure good brain development. 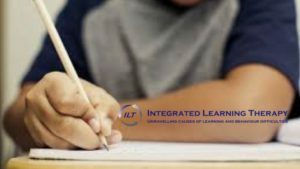 The reason is that they want their children to do well at school and in good tertiary institutions so that they will enjoy a lucrative career later in life. While their motivation is pure, they are often trying too hard to stimulate their children. Expensive equipment, costly academic packages and too-early school admittance simply aren’t needed. Instead, providing lots of love and spending lots of time playing games and talking to your babies while ensuring that their diet is as good as you can afford are the ingredients for a healthy brain. In the next few articles, I’ll be focusing on what happens in a baby brain when we provide a nurturing environment and also on good, brain-building activities.